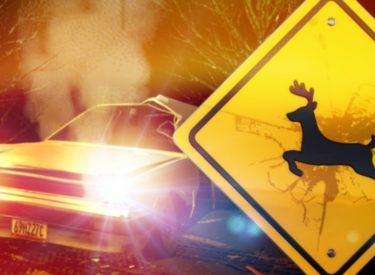 On July 13th 2018 at approx., 1:30 am, a female driver from Syracuse was traveling Eastbound on Road 13, ¼ East of Hwy 54, when two deer jumped into the roadway. The driver missed the 1st deer, but struck the second. Causing damage to the right front quarter panel and deploying the airbags. The driver was not injured and driving a 2007 Ford F150 pickup.